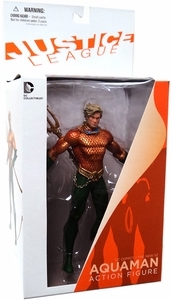 Description Of Item: The New 52 Justice League - Aquaman. DC Comics - The New DC 52 was THE entertainment story of 2011! Now comes the first figure in an ongoing line based on Geoff Johns and Jim Lee's best-selling JUSTICE LEAGUE!